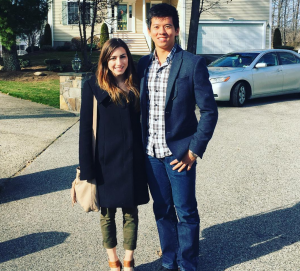 Claire Cloutier, of A Divine Sport blog and a special contributor for Figure Skaters Online, talked with 2017 U.S. silver medalists Marissa Castelli and Mervin Tran about their challenges in the past year and their plans for the 2017-18 season. Last season was a roller-coaster for the American pair team of Marissa Castelli and Mervin Tran. Their preparations for the season hit a snag when Tran suffered a concussion last summer. Tran recovered by September, but they struggled with inconsistency at their fall events. Castelli and Tran rebounded to win the silver medal at 2017 U.S. Championships in Kansas City. They were hopeful for an assignment to Four Continents, the World Championships or World Team Trophy. However, U.S. Figure Skating (USFS) did not name Castelli and Tran to any of these competitions. The team was left to process the decision and rethink their goals. But, despite the setbacks of last season, Castelli and Tran quickly decided that “we’re not done yet.” They’ve recommitted themselves and look toward the new season with a fresh perspective. Castelli and Tran skated inconsistently at their Grand Prix events, placing 7th at Skate America and 5th at Trophee de France. However, they put out stronger programs at Nationals in Kansas City, especially in the free skate, and were happy with their silver medal. Then came the unexpected decision by USFS not to assign them to Four Continents, Worlds, or (later, following Worlds) World Team Trophy. However, he offered this perspective. Castelli and Tran felt there was “a silver lining” to what happened after Nationals. “It did give us a lot of time to sit down, reflect, really just go back down to our roots, and figure out what we need for next year,” said Tran. The team watched the pairs event at Worlds in Helsinki. The U.S. only qualified one pair slot for the Olympics next year despite a top ten finish at Worlds in Helsinki [due to ISU Rule 400A, paragraph 3], though they will have two pairs for 2018 Worlds in Milan, Italy. “I feel like U.S. pairs are sometimes focusing on different things than international criteria,” offered Tran. Castelli noted that pairs skating has become more demanding and difficult. Tran added that federations can put incentives in place to encourage good-quality basic skating or certain technical elements. He talked about the changing trends in pairs skating. “If you look back through the years, there’ll be a push—it depends on the generation—but there’ll be a push for artistry, and after a while, it kind of re-balances and you get a push for technical. It bounces back and forth. And now it’s just huge, big tricks. And I’m not saying that’s a bad thing. But it’s interesting how it bounces back and forth, depending on the generation of skaters we have,” he said. Although Canada’s Meagan Duhamel and Eric Radford pushed the sport forward technically in the past few years, the current success of Sui and Han and Aliona Savchenko and Bruno Massot of Germany is bringing attention back to artistry again. I asked Castelli and Tran about their goals for the coming season. The team has tentative plans to start their season at either the Quebec Summer Championships (August 10-13 in Pierrefonds, QC) or the Cranberry Open (August 9-12 in Hyannis, MA). 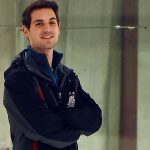 They may also skate at Souvenir Georges-Ethier (September 28-October 1 in Beauport, QC), if they don’t have another event scheduled at that time. Last year, Castelli and Tran competed in one ISU Challenger Series (CS) event: Autumn Classic in Montreal, where they train. They hope to do more Challenger Series events this season. Castelli and Tran also received a Grand Prix assignment to Rostelecom Cup (October 20-22 in Moscow, Russia). Castelli says she’s very excited to compete at the Russian Grand Prix for the first time. We discussed the progress of the team’s technical elements. Last season, Castelli and Tran received varying level calls on their triple twist. They outlined their approach to getting their triple twist levels more consistent. “What do you think is the key to getting extra height on the triple twist?” I asked. He explained that trying to perfect the triple twist is a bit of an art. “Sometimes, our smaller twists are actually cleaner than our bigger twists. Then you’ll get these huge, popping twists, but it’s just a little bit awkward because we’re not quite together with the transfer and release, where it can rotate properly. So it’s just getting the feeling consistent,” he said. The team is also working to improve their throw triple flip. Although they landed the element several times last season, it wasn’t always clean. “Just trying to get it landed,” said Tran. We also discussed side-by-side jumps, a weakness for Castelli and Tran last year. I asked if there were any changes in how they’re training side-by-side jumps. “Training like singles skaters,” put in Tran. “Yes, we’re training like singles skaters, when we’re training our singles [elements]. And we’re just going to continue with our plan. We can land the jumps, so it’s not like we need to re-work the wheel here. We just need to be more diligent,” said Castelli, and pay more attention to their technique. They’re excited about the new program. Castelli and Tran have been together for 3 years now. I asked if they feel like they’re developing their own style as a team. “Although, what was it you fell on yesterday?” teased Castelli. “Well ….” Tran said sheepishly. “He fell on a mohawk [turn] the other day,” said Castelli. The partners laughed. There are quite a few laughs while talking with this team. Castelli is friendly, down-to-earth, and open. The intensity she brings to the ice is reflected in the direct way she speaks. Tran, meanwhile, is quick to find the humor in any situation, making sly and often self-deprecating jokes. But he has a more serious side as well. When not training, Tran spends much of his time coaching. I asked how his coaching was going, and what level he teaches. For most pairs, the upcoming season will be all about the Olympics; everyone’s focus will be on the Games. However, Castelli and Tran are not eligible to skate in Pyeongchang, Korea, due to citizenship. I asked how they felt this would affect them. “We’re going to sit back and eat some popcorn, and do our regular thing,” jokes Tran. Tran continues to pursue U.S. citizenship, in hopes of being eligible for the 2022 Olympics in Beijing, China. “I’m on the last step of getting my green card,” he said. He and his lawyer are awaiting an appointment with U.S. immigration officials, which they hope will be scheduled soon. They have plans to attend a Red Hot Chili Peppers concert in June. Castelli also enjoys yoga, biking, and spending time in Montreal. One of Tran’s favorite hobbies is playing his ukulele or guitar. Last year was not the easiest for Castelli and Tran. But the team enters the 2017-18 season with a renewed sense of purpose and a determination to enjoy their time on the ice.